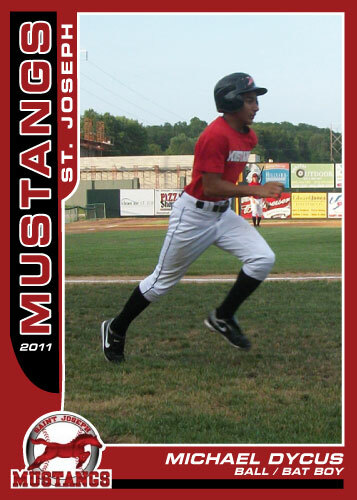 This is the last Mustangs card for 2011. Kyle Jackson pitched a great game and notched the 2nd win for the team in the NBC World Series, it would be their last win of the season. Thanks for the great season Mustangs. 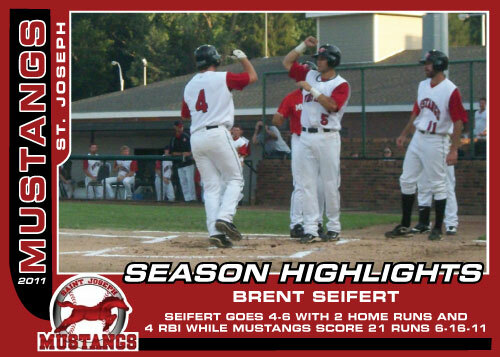 Brent Seifert was amazing this year. That is all. 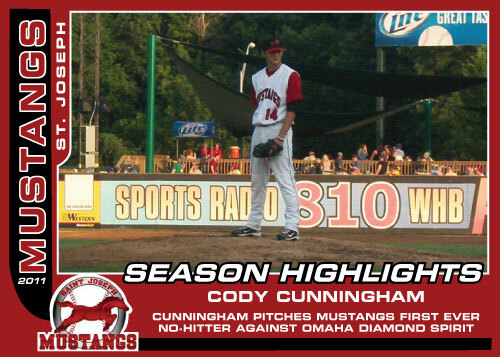 The Mustangs amazingly had two complete game no-hitters in 2011. Cody Cunningham tossed the first of the two great games. He threw his in Omaha against a good Omaha Diamond Spirit team early in the season. 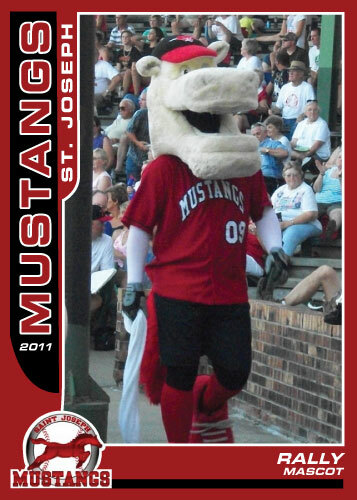 The Mustangs stayed alive in the NBC World Series by knocking out the team from Derby, KS on Friday. They scored 2 runs in the top of the 9th inning to break a tied score and win 3-2. The Mustangs pitching is the reason that they are where they are in this tournament. 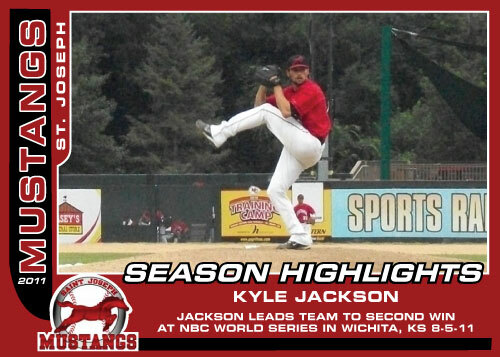 Friday’s game was no exception, Kyle Jackson tossed a great, going 8 innings and only surrendering two runs while picking up a big win. The Mustangs play on Sunday in another must-win situation. The Mustangs battle the Hutchison Kansas Monarchs at 10:30 in the morning. I don’t know who is starting for the Mustangs but it very well could be Cody Cunningham, the first three games were started by Huett-Maddox-Jackson. 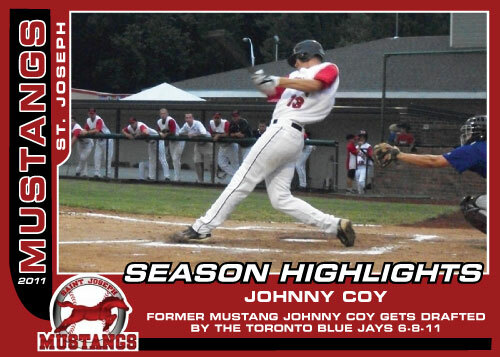 The Mustangs lost yesterday at the NBC World Series, they fell 4-3 in 10 innings. 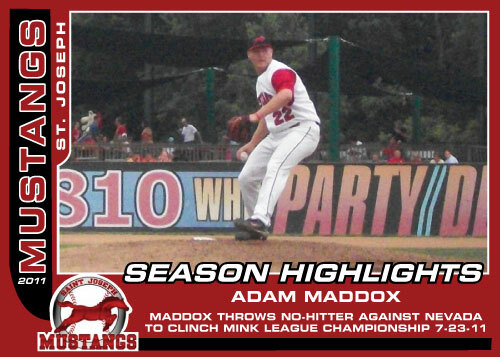 Adam Maddox had another good start throwing 7 innings and only giving up one run. The bullpen let him down though as normally air-tight Doug Shields gave up 2 runs in 2 innings and Josh Parrish gave up the winning run in the 10th. The tournament is double elimination so the Mustangs are still in it. They take on the Derby Twins (KS) on Friday at 1pm. They need to win from here on out or they will be eliminated.